Downloading an app is a real pain sometimes when you don't want to install the complete app on your smartphone just for booking a movie ticket, or buying something online. Isn't that? Now, Imagine the world where you can use any Android app without actually the need to download or even install it on your smartphone. This is exactly what Google has intended to offer you with its all new Instant Apps feature. Announced at Google I/O event Wednesday, Android Instant Apps will break down the walls between websites and Android apps by allowing people to tap on a URL and open an Android app instantly, without even having to install it. As a live demonstration, Google's presenter on stage showed how just clicking a Buzzfeed Video link, which has a dedicated app, opened the relevant part of an app — all in just 2 seconds. In another demonstration, the presenter showed a link to buy a camera bag at B&H Photo and complete the purchasing process instantly through the shopping cart inside the company's touchscreen-friendly Android app, without even installing the whole app. Developers who want to provide Instant Apps will have to modularize their already existing apps that can start within a few seconds and users don't have to install the whole app just to use some of its features. 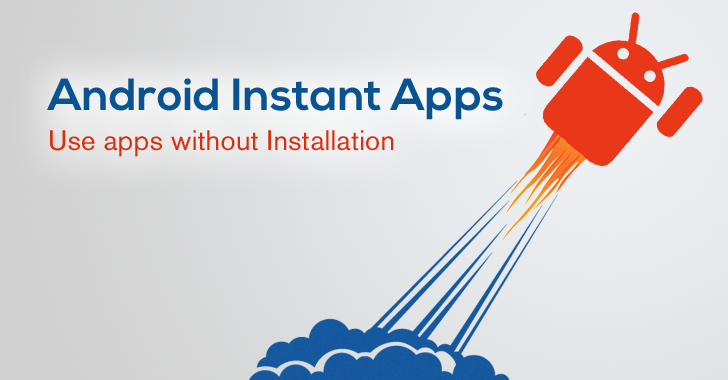 According to Google, some developers with basic apps could even implement Instant Apps support to their apps in as little as a day. Additionally, alongside with their Instant apps, developers can provide "call to action" links to encourage users to download and install their complete apps if users find them particularly useful. When users click on a Web URL and if that URL has an associated Instant App, users will get a tiny version of that app instead of the website. Once tap, the smartphone fetches some part of the app that users want to use, allowing the app to instantly and seamlessly install. Instant Apps will run in a secure sandbox and once released, Android Instant Apps feature will work on all smartphones running Android 4.2 (Jelly Bean) or later. The company will make the feature available via an update to the Google Play Services software coming "later this year."